Every month when the full moon shines bright in the sky, we’re given the opportunity to reflect and connect with our own cyclical beauty and the natural cycles of the earth. This weekend we’ll get to see the moon huge and bright orange in the night sky, because of a rare combination of the hunter’s moon and supermoon appearing on the night of October 15th and 16th in the Northern Hemisphere; also known as the Blood Moon. 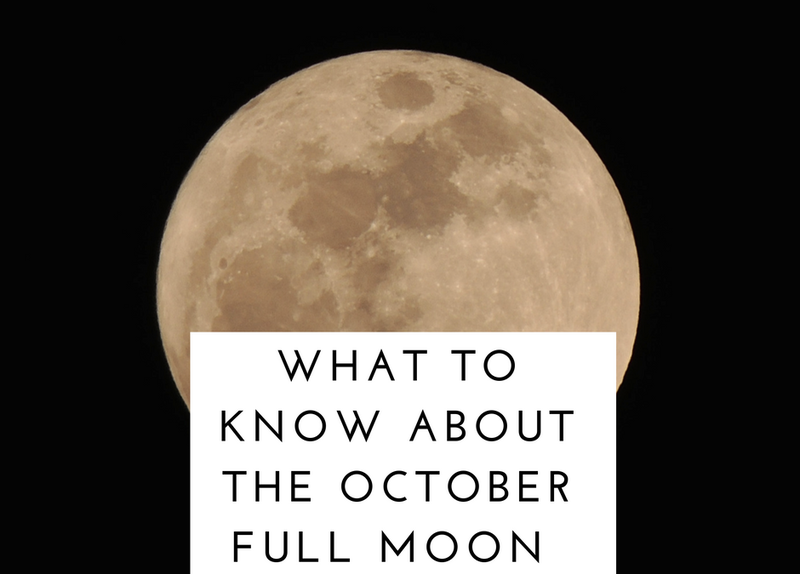 The Native American’s named this October Moon the Hunter’s Moon because at that time the fields were harvested in late September which allowed the hunters to easily see and catch their prey. I imagine because of the orange-red appearance of the moon (that happens because of the moon’s proximity to the Earth) as well as the hunt, it also got dubbed the blood moon. And since we’re talking blood and moons, in my world it’s only natural to talk about periods too! And the very potential for life that starts from the blood of our wombs. What kind of energy is your womb giving birth to right now? Is she angry or peaceful? Do you celebrate your blood as a sign of your fertility? Or do you experience it as a nuisance, a pain or worse a failure of not being pregnant? Under the light of the Blood Moon this weekend, I encourage you to harmonize your inner huntress energy with your inner nurturer – the part of you that you want to reject, embrace it, cleanse it, purify it, and turn it’s previous energies of negativity into positivity with the power of manifestation and meditation. Inhale acceptance, exhale rejection. And use October as a window into next year, because from a numerology perspective whatever you experience this month is giving you a preview of what’s to come in the following year. Ovulation ushers in the nurturing and supportive energy of the mother, bright and fertile as the full moon. The hormones that peak in the body at ovulation create the perfect environment not only for the support of a fertilized egg but for the nourishment of our dreams, ideas and creative goals, our “creative children.” This is a time of full creative expression, when we’re most capable of nurturing ourselves, our loved ones, and our deepest desires. I invite you to connect with yourself and find your deepest wants and desires showered with support from my Full Moon Meditation. Listen to this meditation while staring up at the bright, full moon and connect with the power that creates life.